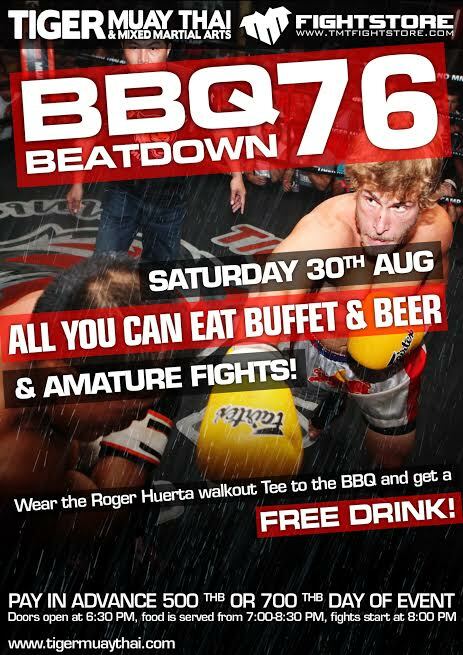 BBQ Beatdown 76 going DOWN this Saturday night at Tiger Muay Thai!!!! Come out supporting RogerHuerta in his Walkout tee that night and get a FREE drink!!!! All you can eat buffet, beer, amateur fights are all included in the ticket price! Purchase your tickets in advance at the front office for 500thb or at the door for 700thb!